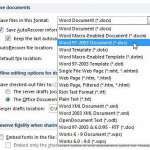 Dark mode settings have become popular choices for programs like YouTube and Twitter, as the switch from a bright white background to a black or dark gray color can be much easier on the eyes. Additionally, as the name implies, it also makes screen much easier to look at in low-light environments. But there are even more applications that have a dark mode option, including your Windows 10 computer. 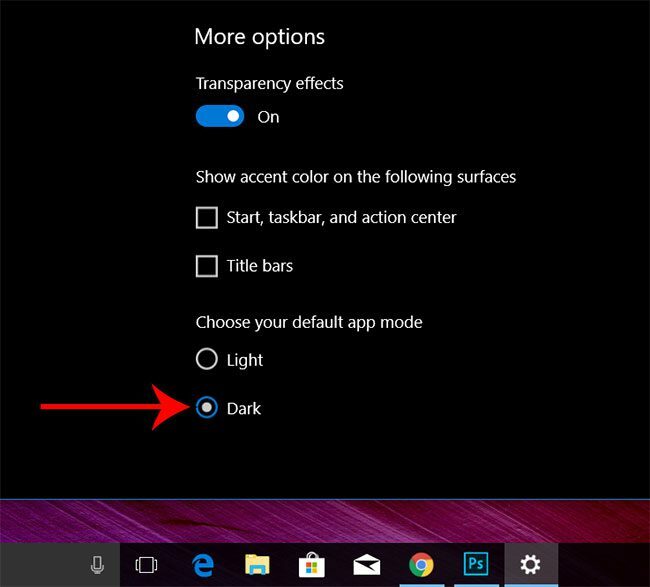 Our tutorial below will show you where to find and enable this setting if you would like to use dark mode on your Windows 10 laptop or desktop computer. 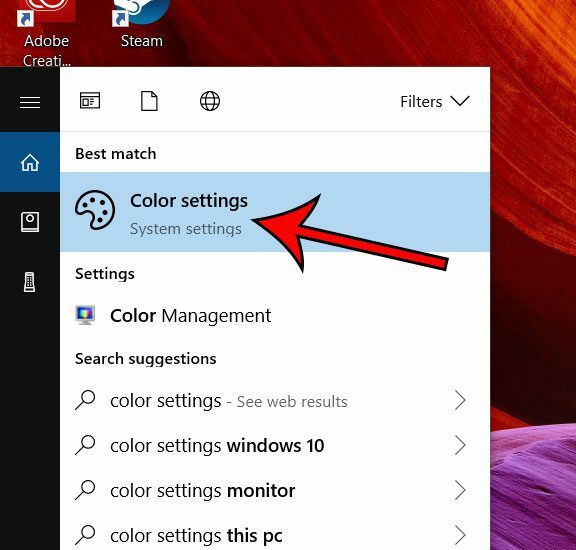 The steps in this article are going to change the color settings for your Windows 10 computer so that the apps that you use have a “dark mode” theme. 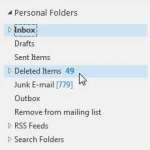 Typically this replaces the default white background that you see in apps with one that is more of a dark gray color. It’s meant to be easier on the eyes, but it also looks pretty cool. 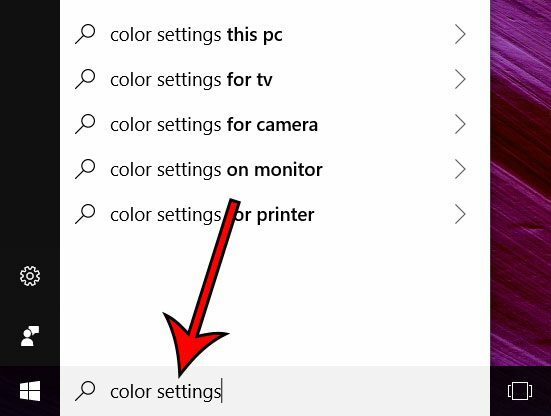 Step 1: Type “color settings” into the search field at the bottom-right corner of the screen. 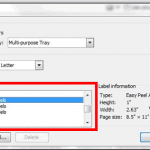 Step 2: Select the Color settings option from the list of search results. Step 3: Scroll down on the menu and click the Dark option under Choose your default app mode. 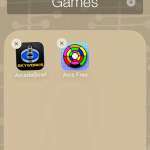 Do you want to make your favorite apps a little easier to find? Check out this article and see how you can add a section to your Start screen that displays your most-used apps.